Finding and marking nests is not all fun. 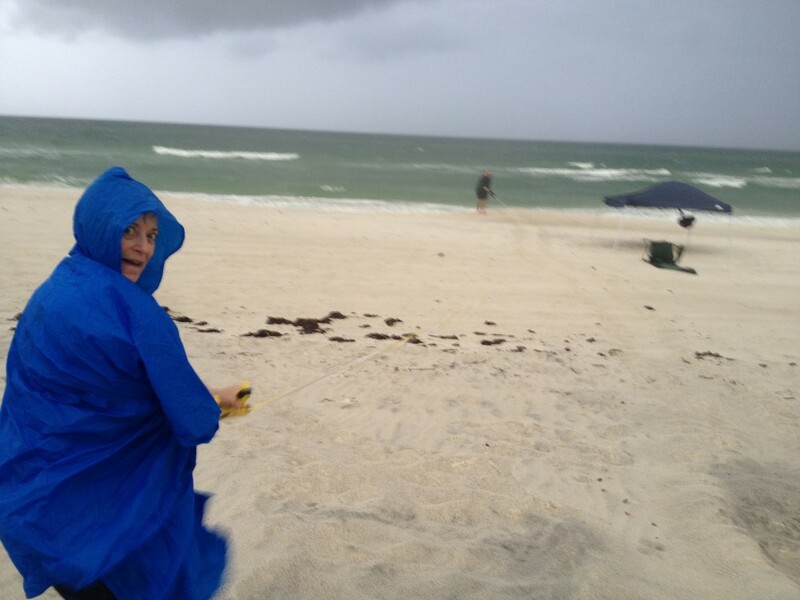 Walkers work to document nest 11 as high winds and rain move into Inlet Beach where the nest was located. Here they take measurements from the water to the nest. Note the sea turtle track shows the turtle just missed a cabana tent that was left out illegally over night.